The Liverpool Salon was launched in May 2014 to create social spaces for people to meet together and discuss ideas. 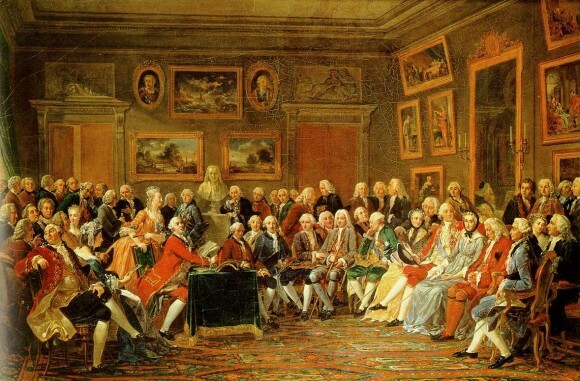 While acknowledging our debt to the ‘enlightenment salons’, which emerged from the literary and philosophical movements of the 17th and 18th centuries, we have been greatly influenced by our contemporaries, such as the Manchester, Leeds and other regional Salons and the annual Battle of Ideas. Like them, we are committed to opening up space where ideas can be put forward and where audiences can listen, discuss and argue back. Our ambition is to create welcoming and convivial social spaces where free speech is guaranteed and no ideas are off limits. The next Liverpool Salon reviews 2016 and looks ahead to 2017. ‘Out with the Old’ will be held on Friday 13 January 2017, from 7.00 to 8.45 pm in the Library, Ullet Road Unitarian church, L17 2AA (York Street entrance), Sefton Park, Liverpool L17 2AA.